Pixel Whisk: Message in an...egg? Easter's next weekend, and that means I've got plenty of egg dying and marshmallow Peeps in my future! 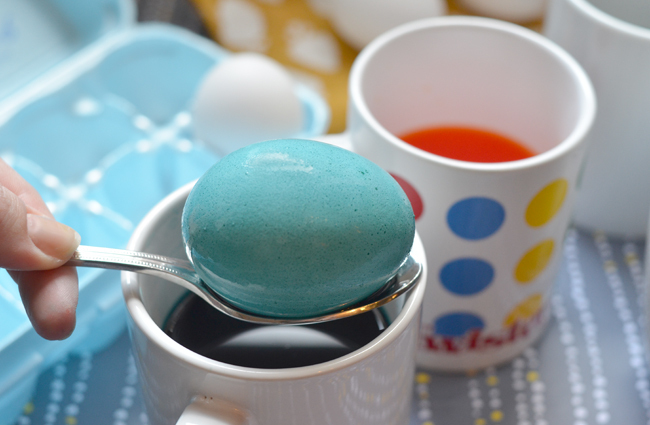 I've always loved the process of dying eggs and the excitement of an early morning egg hunt. 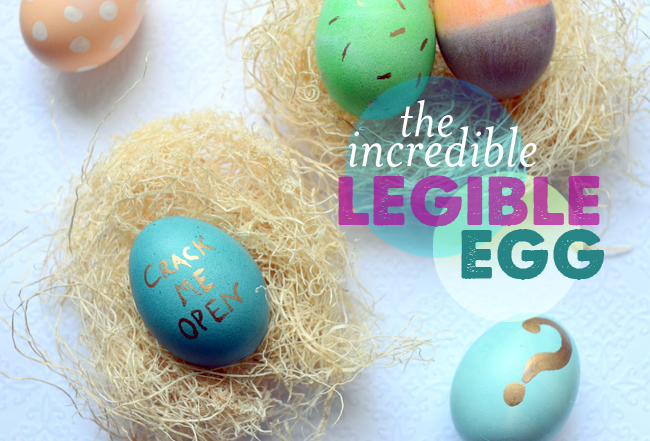 But every year brings the issue of the forgotten egg. It's all fun and games until a few weeks pass and the stench of an old hard boiled egg reminds you of that "they'll never find this one!" hiding spot where you stashed your egg. Ick. 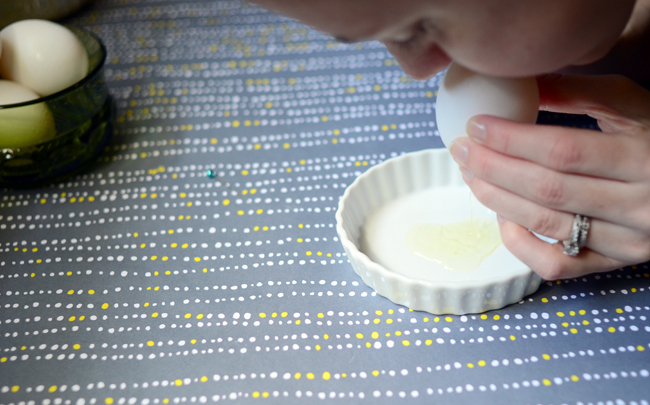 Forget the hard-boiled egg and create these stink-free message eggs instead. 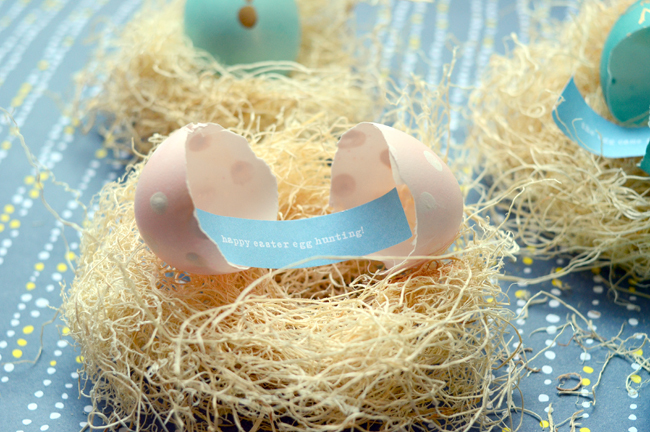 The best part is that you can customize your message for each egg. 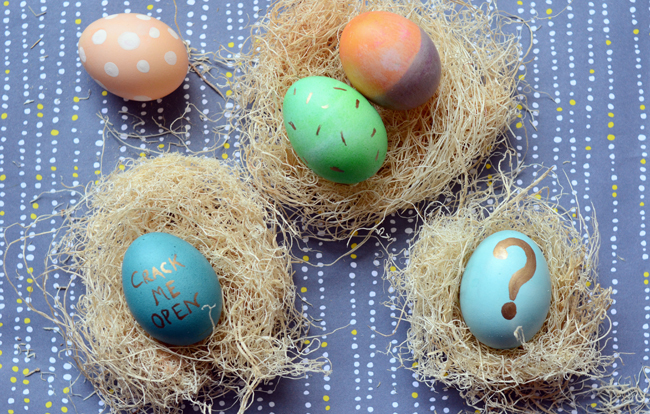 Maybe now the Easter egg hunt becomes a scavenger hunt! No time for messages? 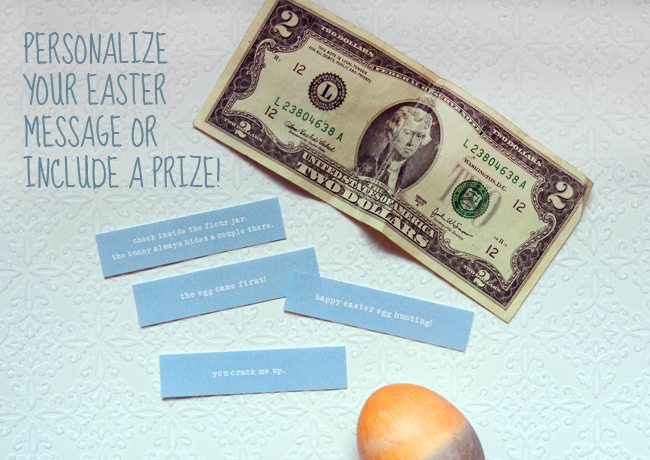 Slip a dollar bill in the egg for an added incentive. Grab a push pin, a bowl and a few large eggs. Oh, and get your lungs ready, too. 1. 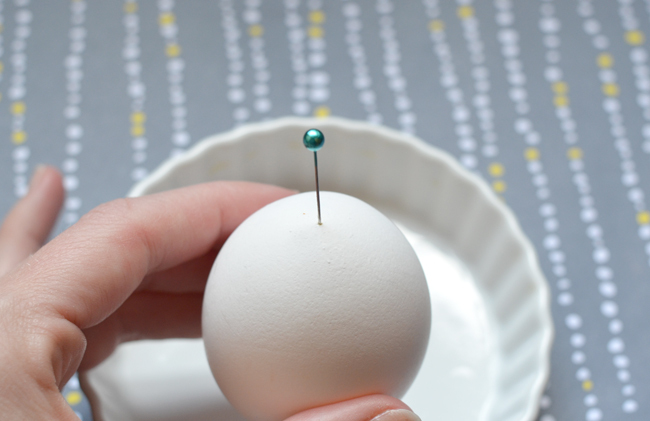 Use the push pin to carefully push a small hole in the top of the egg, then flip the egg over and make a larger hole in the bottom of the egg (no bigger than 1/4" wide). 2. 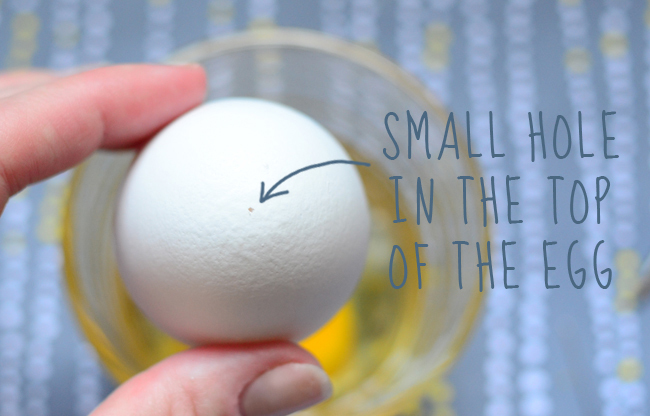 Blow on the smaller hole until all the egg (whites and yolk) have come out. Repeat until all the shells are hollow. Keep all those eggs and make a giant omelet:) Rinse each egg shell in warm water and let dry overnight. 3. 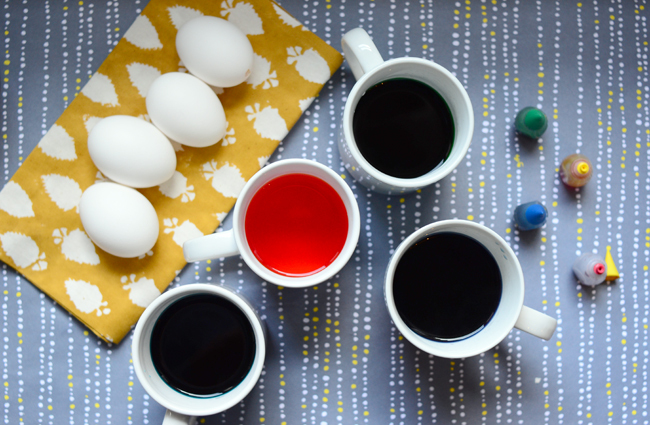 Dye the eggs according to package directions. Here's where you can get really creative: use crayons to write messages or tape off patterns before you dye. Remember, the eggs are hollow, so they'll float. You'll have to hold them down with a spoon to fully cover with dye. Place back in egg carton to dry completely. 4. 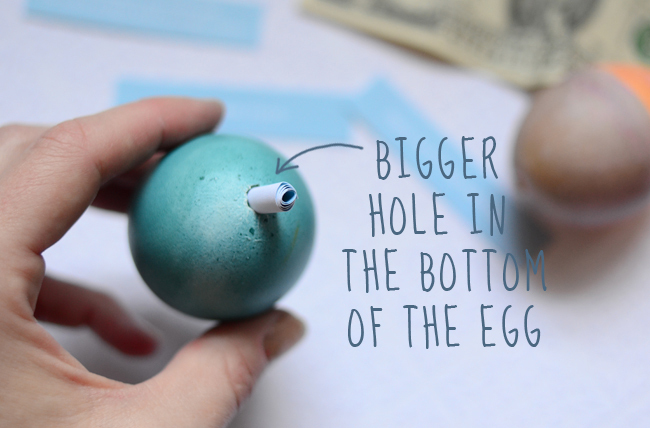 Use a paintbrush or chopstick to help curl the edges of the paper message, then coil tightly and slip through the larger hole in the bottom of the egg. 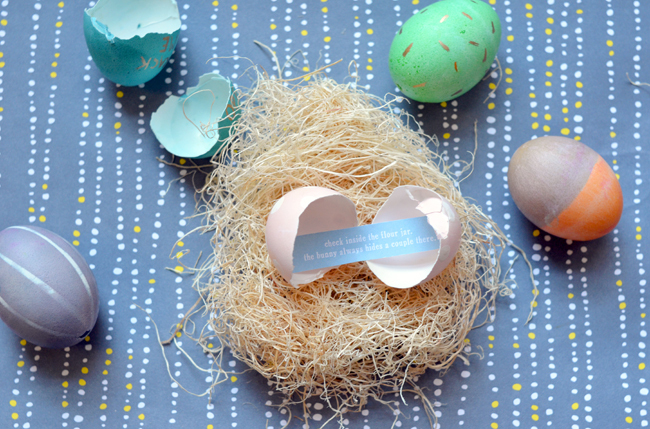 Crack the egg open to reveal the message! I only crushed one egg in the process, but it's pretty tiring, so grab some friends to help. 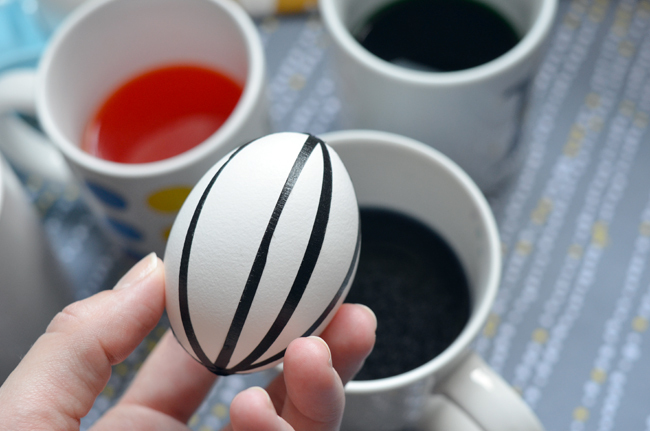 Use tape to create pattern on the eggs before you dye. Of course! I love confetti and Kinder Eggs. 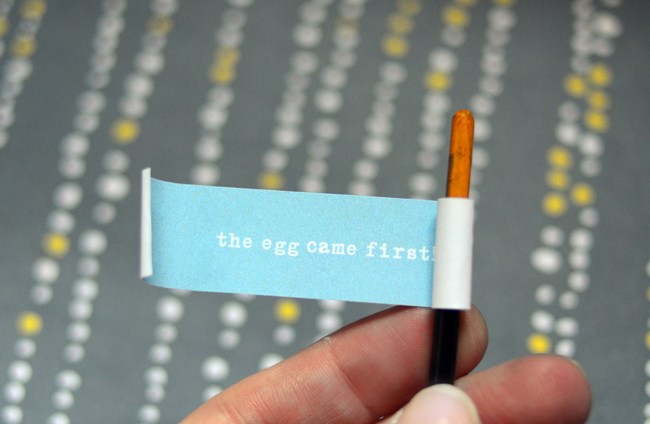 The presentandcorrect.com mailable message eggs are adorable and take it to the next level. Also a huge fan of what www.notmartha.org did with surprise Easter eggs. 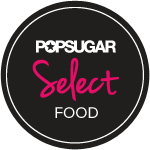 i've just discovered your site (via your oh-so-amazing succulent cupcakes i saw on tastespotting), and your posts are truly beautiful! love it! Saw you on Chew today. Your cupcakes were remarkable! Just started working with fondant a few months ago and can't wait to make them! Thank you for the wonderful idea.